What do you think about monitoring your blood sugar levels continuously? We have recently begun to see more and more news pointing to the use of an indicator, blood sugar, or more properly, the concentration of free glucose in blood, very familiar to diabetes sufferers, to measure the well-being of healthy people. In some companies, particularly in the somewhat dystopic environment of Silicon Valley, people without diabetes actively monitor their blood glucose levels to evaluate their performance or activity, control their food intake or keep their weight down. However, this makes perfect sense: as diabetics well know, our blood sugar levels are a very good indicator not only to know whether insulin or food is needed, but in general, to evaluate activity, strength and stamina. There are clear correlations between activity levels or perceived tiredness and blood sugar levels. 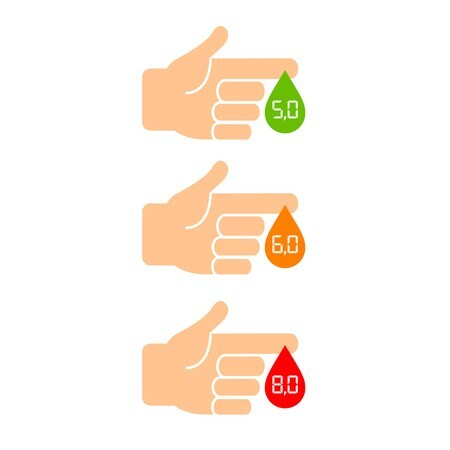 The problem, of course, is that measuring blood glucose is not particularly easy, since in most cases, it requires extracting blood, which is obviously invasive and uncomfortable. And although it is possible to do this ourselves, the idea of ​​taking blood samples several times throughout the day is not an appealing prospect unless you have major health issues. Last week there were reports about Tim Cook, CEO of Apple, who has been seen with a device in his wrist that carries out blood sugar measurements continuously and non-invasively. Apple’s idea of ​​becoming an ally for the development of preventative health monitoring systems, its many alliances with hospitals and insurers and its interest in impacting on the health sector could indicate the development of some device that allows the user to assess their blood sugar levels non-invasively, so as to make decisions about when to take a snack or meal, when to be more productive, or in general, how to manage a parameter that affects our energy levels and ability to carry out a range of activities. Within the so-called quantified-self movement, blood sugar could be, perhaps, the next parameter to be monitored. Are we now looking at a scenario where a parameter used so far almost exclusively in the treatment of a disease, instead becomes something to monitor continuously through sensors and apps? Previously this applied to our heart rate, and more and more people are now evaluating their health or the quality of their sleep based on their basal heart rate at night, something that I have previously defined as cardioawareness. Are we about to see the popularization of measuring blood sugar levels? Would you, as a user, be interested in this kind of development?